The team at Adolph Legal is committed to assisting clients in Green Bay, Wisconsin, with a wide range of charges, including domestic violence, petty theft, drug offenses and operating while intoxicated. Our law office has earned numerous client reviews praising our personalized approach to legal representation. People who face criminal charges have rights, and we are dedicated to investigating the details of each situation so that we can uphold those rights in court. In addition to producing satisfied clients, our founding attorney, Tara Adolph, has been listed by the American Institute of Legal Counsel as one of their 10 Best By State for 2015 and 2016. 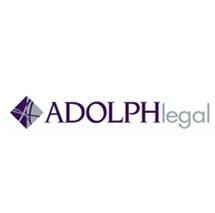 Ms. Adolph has been recognized by being selected for inclusion in Super Lawyers list as well. Whether people are facing a misdemeanor or felony charge, our law office is ready to negotiate a settlement that is just and fair. Adolph Legal has a thorough understanding of state and federal regulations surrounding these areas of law, and we use this knowledge to create and present solid cases. In addition to representing clients with their criminal law matters, we handle issues involving divorce and family law. Our law office is able to accept credit cards as payment for all of our services.